Made in collaboration with Dubai’s famed Passion Jewelers, the pair is crafted from real gold by artisans who surely knew their skills right. To justify its gigantic take-away price, the stiletto comes decorated with a shining D-Flawless 15-carat diamond on each side, along with 235 other little beauties adorning the opening of the shoes right up to point where they meet the foot. 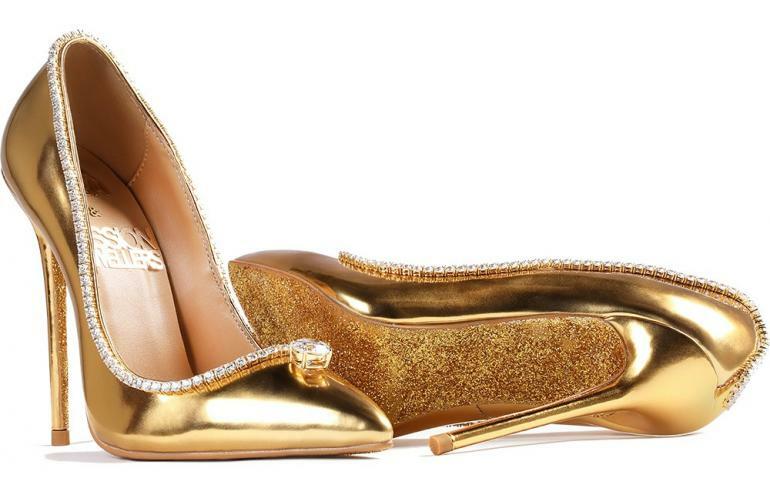 The world’s most expensive footwear, as it is so touted will be seen on display at Burh Al Arab alongside Jada Dubai’s newly launched collection of exclusively jeweled shoes. The high-class event will showcase Diamond Pearl Sandals priced at $25,000, the striking Ruby stilettoes worth $27,000 and another pair of Diamond and gold stilettoes which will be available for $27,000. Earlier in the year, Jada Dubai also unveiled its Royal collection with an exclusive pair of diamond shoes worth $300,000. As for the Passion Diamonds, you can head on to see them at the Burj Al Arab tomorrow, onward 5 pm.